What should be your first steps when you start a language? Here goes what I do. It is really important for me. I need to immerse myself in the sonorities. So I’ll look for videos, audios, songs, short movies. At this stage I don’t necessarily try to understand unless it’s a language close to the ones I already know. I try to identify new sounds, rythm, intonation and to imitate what I hear, I try to pronounce. It’s very important for me too. When I decide to learn a new language it’s usually because I really enjoy it’s sonority but also it’s culture. So I look for information in order to learn more about the country, people’s traditions and habits and I try to go to cultural events related to them where I live. I use the internet to learn how to present myself and have a basic interaction with someone. When I start, listening and speaking is much more important than writing and it’s essential for me to try to pronounce correctly. Assimil: the best methode I know. Listening is really important and grammar is seen in context. It’s quite expensive but you can find it in libraries. The best App I know. If you’re a total beginner maybe it won’t be very easy to use, but if you already have a basic level you need to use it! You’ll find a lot a lessons, articles or videos with audio and script. You can also import you own content and use the App to check instantaneuously the translation, save new words or phrases and review them. It’s really good if you like to be independant because you follow you’re own progression. 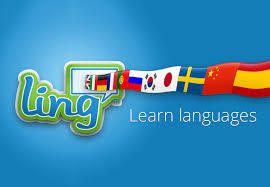 Duolingo: it’s usefull to learn vocbulary and to get used to pronunciation and writing. Although it has some inconvenient: there’s a lot of writing activities and it’s repetitive. Sentences are written without any context and they don’t give importance to global meaning but to exact translation. But it’s totally free! Rocket Languages: there’s a free trial and you can use it to play dialogues thanks to voice recognition. It’s quite fun and effctive. Italki: Once I’ve acquired some basic skills I want to practice. If I don’t know anybody I could talk to I look for language partners in the internet. I use Italki and I really like it. I can also book lessons with tutors or certified teachers, but paying of course. Italki checks teachers certificates to know their professionnal and educationnal backgrouds. We can also write notes in our notebook and ask for natives users to correct them for free. It’s very important because no method is good for everyone nore will satisfy all your needs. It’s essential to test different methods and even to use several methods in parallel. I noticed with Japanese that it was usefull to go back form the beginning once in a while, instead of always wanting to go ahead. It’s not a failure and a loss of time. It helps me stenghten what I’ve learned. It doesn’t mean going back to zero. We can’t rememeber averything and it’s good to see something again to assimilate it better and make more progress. We always hear advice on how to learn a language fast. I’d rather think that the faster we want to go the lower we will actually go. The most important thing for me is to enjoy what I am doing. And if I enjoy what I’m doing, no matter how long it takes. I can go very slowly in order to really appreciate it. Or I can start and stop, do something else and then go back to what I was doing. I can even study a lot in very few days. I need to find my own path, and it can vary a lot! I don’t like to follow principals just because some one tells me to do so. You can study a little bit every day but it’s not an obbligation and it’s not necessarily what you need. I’ve also learned that our brain works even if we are not working! So we really need to find our ideal path. Don’t be affraid of authenticity. I like to use learning materials in order to get to meaning more easily, but the authentic. immersion is essential. At beginner’s level it’s important not to focus on what we don’t know and not to try to understand everything. But even if I don’t understand most of the language I need that contact. Is it necessary to take formal lessons? I don’t think so. I really prefer to look for ressoures by myself and to be charged of my own learning. Of course, I can look for experienced natives or teacher to answer my questions, to help me practice and to make me discover new aspects of the language and it’s culture. But I don’t take formal lessons. Now that I’m totally free to learn, with no exams to pass nore lessons to take, I really prefer to study formal aspects of the languages once I’ve acquired some comunicational skills. I also prefer to study grammar after having noticed those elements in context and when I feel the necessity to understand more and to go further. For me practice comes before theory. As a matter of fact, I never give formal lessons to beginners. Authentic exchange is essential to me. Beginners I help feel soon very confident when they see they can communicate even if they know very little. I don’t really enjoy group lessons either. I find them quite uneffective for beginners and intermediate students. We generally take them with other students who have the same level as we have, so it’s really hard to learn something from them. There’s very little time for speaking practice, unless you are un a very small group. And we are either with students with the same native language as us, so using another language is totally unnatural. Or we are with students from other nationalities that have very different needs from ours. Next Post The right moment to start a language is right now!